Prominent & Leading Manufacturer from Jaipur, we offer straight modular kitchen, l shape modular kitchen, island kitchen, parallel modular kitchen, u shape modular kitchen and modular kitchen. 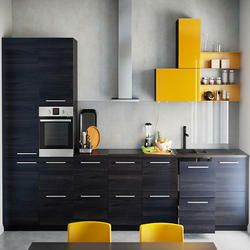 We are recognized as the leading manufacturer, wholesaler, trader and supplier of ModularKitchen. The offered smart kitchen is designed as per the latest designs by our skilled workforce. Owing to their smooth finish and smooth surface, these shutters are much cherished by clients for installation in kitchens. Design L-Shape, Parallel Shape, U-Shape, Straight. We are a trusted entity, successfully engaged in providing a beautifully designed range of Modular Kitchens. 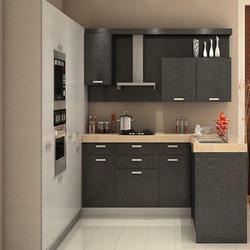 We are leading manufacturer of Parallel Modular Kitchen and our product is made up of good quality. Our customers can avail these products in different designs and styles as per their need and demands. 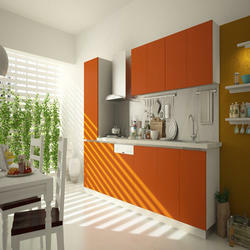 We are a renowned entity in this domain indulged in offering a qualitative gamut of Modular Kitchen. 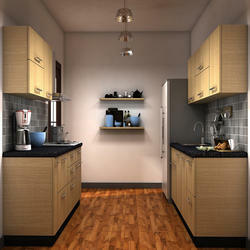 Our offered kitchens are designs as per the requirements of customers using best grade of material. 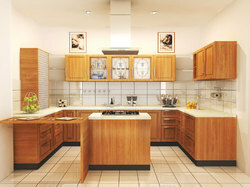 This range of kitchens is provided in several custom designs on demand. Moreover, our customers can avail this range at a very nominal price from our dealers available PAN India. We are the leading manufacturer of an optimum quality array of Modular Kitchen. 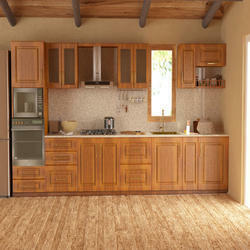 Comes in numerous designs & trendy look, we manufacture this kitchen by using the optimum quality material. Offered kitchen examines on various quality parameters to ensure its flawlessness. Production Capacity: 5000 Sq. Ft.
By keeping track with the market development, we are indulged in offering an exclusive array of Modern Kitchen. 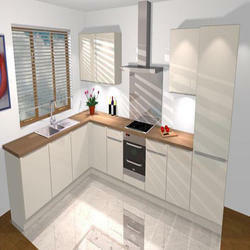 Our offered high gloss kitchens are designs as per the requirements of customers. We are a trusted entity, successfully engaged in providing a beautifully designed range of Latest Kitchens Designs.